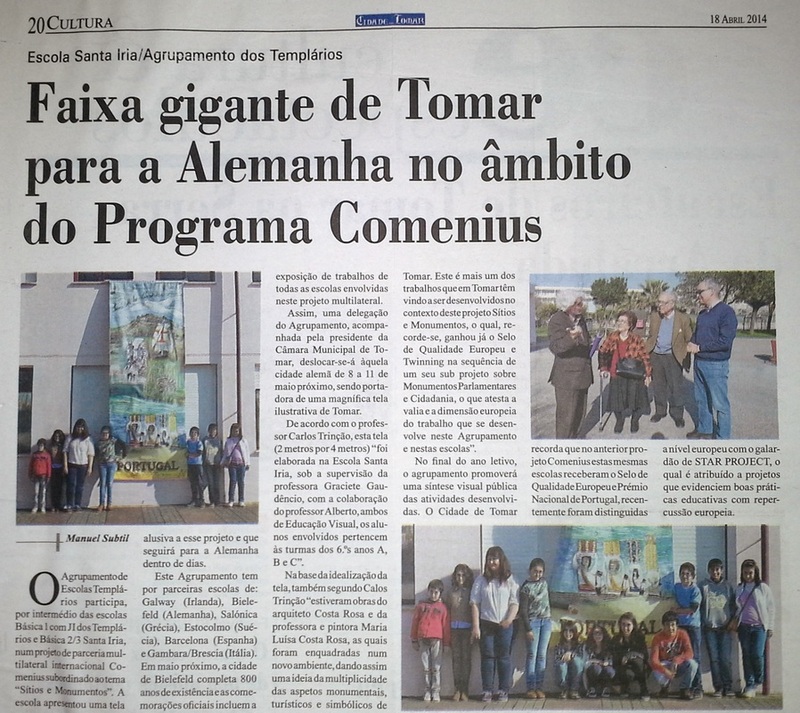 The banner has been idealized, drawn and ainted by Santa Iria school's 6th grade classes. the following slide show illustrates da "making of". As the banner was ready, a very simple cerimony at school presented the banner to the school community. Press was invited and an article has been published in a newspaper. Two important painter-citizens of Tomar have also been invited because it was their former art work that inspired the banner. The next slide show illustrate that moment. 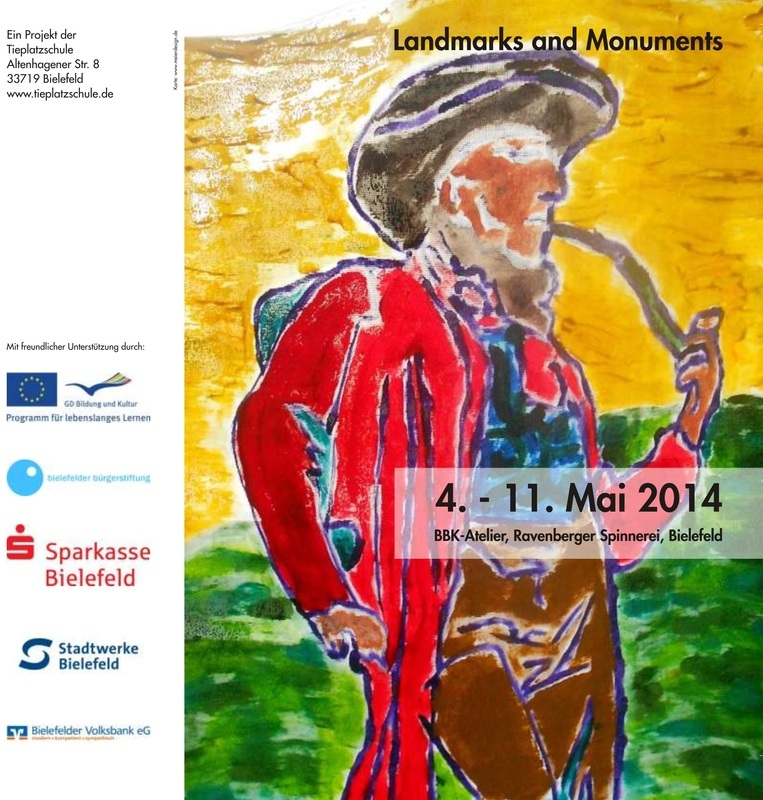 Finally, in Bielefeld, May 9, Europe Day, the inyernational exibition of banners and other art work has taken place. It was a very high symboic act! Europe, on Europe Day, all together! The Councillor of Education of Tomar's City Hall, Mr. HUGO CRISTÓVÃO, by giving us the honour of travelling together to Bielefeld, institutionally regognize the value of our work and project. The exibition poster, a video and slide show of the exibition may be found here under. Only available in Portuguese. Sorry... But the text reflects all her joy and satisfaction!